The Bookman was an British monthly magazine created by Hodder & Stoughton Ltd. and published from 1891 to 1934. 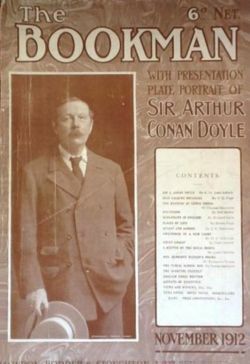 Between 1892 and 1928, the magazine published 5 articles, 1 letter and 1 interview written by Arthur Conan Doyle. Note that The Bookman (US) was a different magazine created in 1895 by Dodd, Mead and Co.